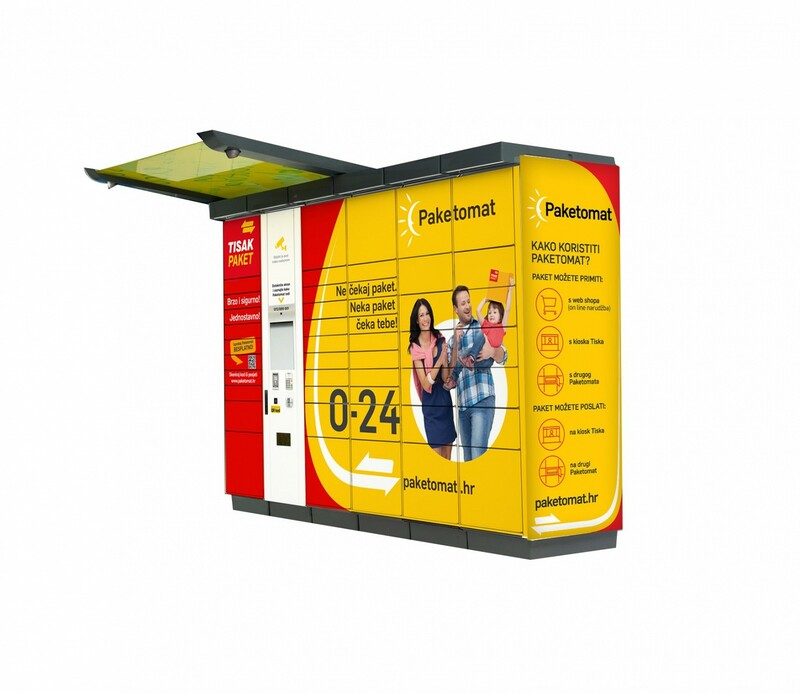 From now on at more than 50 locations all over Croatia – in all major Croatian cities such as Zagreb, Split, Rijeka, Osijek, Dubrovnik, Šibenik, Zadar, Karlovac and others, Tisak offers its new, innovative logistic service – Paketomat. 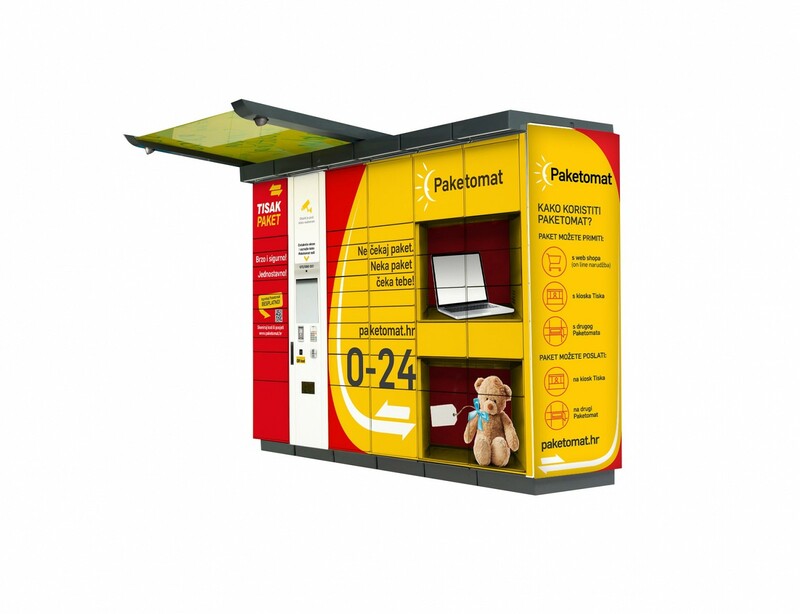 The Paketomat lockers, automated parcel machines, are positioned in such way as to meet the needs of as many potential users as possible, making this contemporary way of delivering and receiving parcels available 24/7 to as many people in Croatia as possible. „The total value of Tisak's investment in this project amounts to HRK 10m. The Paketomat service has been additionally improved by working together with the new Abrakadabra online mall as strategic partner, where customers who buy premium domestic and international brands also have the possibility to opt for this innovative, simple and favorable delivery service through Paketomat at any time of day,“ said Hrvoje Kraljević, CEO of Tisak. Paketomat serves as point of delivery for online shopping as well as a classic parcel dispatch and delivery spot. Sending and taking deliveries is possible within not more than 7 seconds, in few simple steps. The user receives a text message or an email containing a unique PIN and QR code to open the locker and takes the delivery at any time by scanning the QR or entering the PIN code on the Paketomat screen. 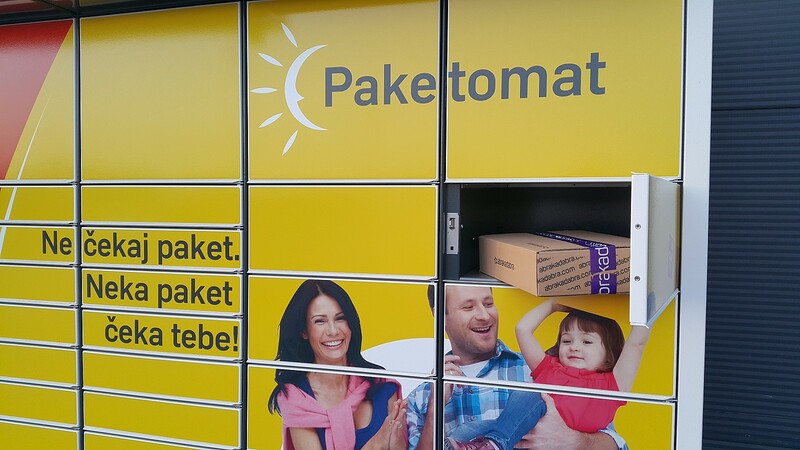 Sending parcels through Paketomat is also very simple, by online reservation and payment via www.paketomat.hr, whereafter a text message and/or email notice delivers the code required to open the appropriate Paketomat locker. 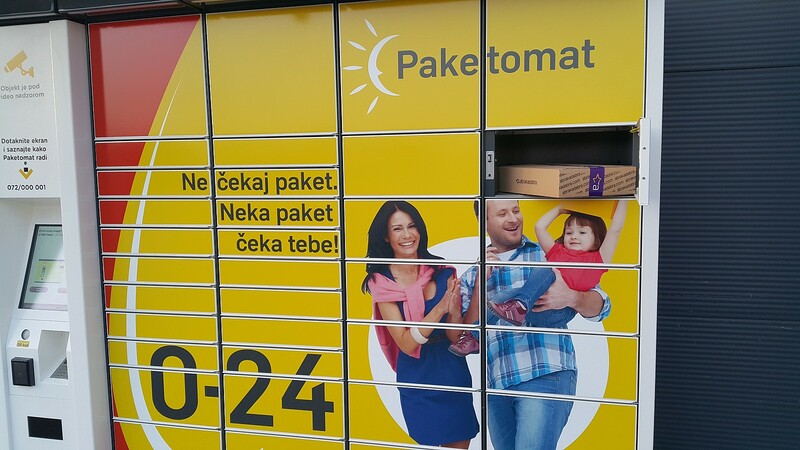 Besides the 24/7 availability at attractive locations throughout Croatia, the simplicity and speed of usage, another advantage of Tisak's Paketomat certainly is its price of HRK 15.00 per parcel, which is among the cheapest parcel delivery options. This innovative service also interacts with the user via video, voice and personalized multichannel messages. „In 2015 Tisak invested significant funds in IT and in enhancing technical and conceptual solutions which are the backbone of the Tisak paket service. Text message notification has been introduced, the parcel track&trace system improved and the new Tisak paket website launched for users to have an even simpler and faster way of creating their orders“, said Darko Gašpar, Director of the Courier Service Division at Tisak. The company Tisak is the leading national distributor of press and tobacco products and the No. 1 kiosk retail chain with almost 1,200 points of sale across Croatia. By implementing the new business diversification strategy Tisak wants to become the leading provider of a number of financial and logistic services offered to its customers. Besides the continuous improvement of its existing, core business segment, the company evolves and invests in new segments which have gained recognition on the market: courier services, financial and electronic services and disposal of non-hazardous waste. So far the company has successfully introduced a number of financial services to kiosks, such as utility bill payment, currency exchange services, Moneygram and so on, and in 2015 additional HRK 25 m were invested in increasing the security of financial transactions at points of sale, thus creating the preconditions for the growth and development of this business segment. Another HRK 10 m were invested in the modernization of 60 Tisak points of sale with a view to providing the best possible service to end users.